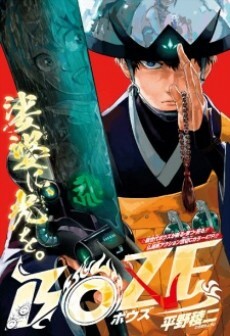 Boze is about Urado Shiori, a first year in high school who is saved by a mysterious monk named Ryuudaiji. Ryuudaiji however is not your normal monk he uses modern weapons combined with spells to exorcise demons. With his Gatling gun and two automated stone lions A-Gon and U-Gon he saves Shiori from a vampire.